The Department of Homeland Security began implementing a dramatic new policy last month requiring asylum seekers to return to Mexico to await immigration court hearings. 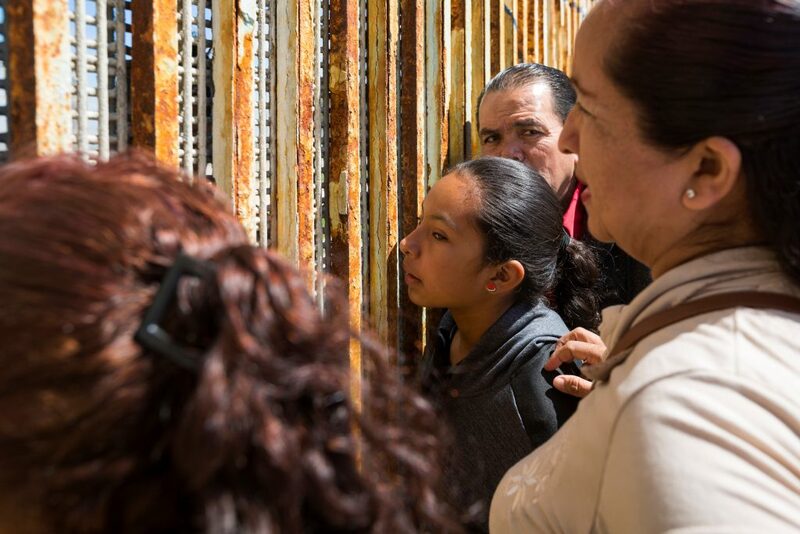 Many denounced the so-called “Migrant Protection Protocols,” (MPP) highlighting the extreme dangers that migrants in Mexico face when forced to remain on the southern side of the border. Last week, the ACLU filed a lawsuit challenging the policy on behalf of eleven asylum seekers affected by the policy and five organizations that seek to assist them. Under the MPP, individuals who arrive at a port of entry and ask for asylum may be forced to remain for months or longer in Mexico while they seek asylum. The U.S. government will not do anything to guarantee the safety of migrants forced to wait there, nor will it provide financial assistance or even secure promises from Mexico not to deport asylum seekers subject to the policy. Despite reports that Mexican government officials have said that children would not be subject to the policy, last week the U.S. government ignored Mexico and forced multiple asylum-seeking families back across the border. Meanwhile, the government in Tijuana is struggling to figure out how to deal with those already sent back. As most shelters in Tijuana are already full, many affected individuals have been left with an uncertain future. The ACLU lawsuit marks the first legal challenge to this new policy. The eleven asylum-seeking plaintiffs forced to remain in Mexico were processed at the San Ysidro port of entry, given a date to appear in immigration court, and returned to Mexico. Many expressed that they felt totally unprepared to wait in Mexico for months. Some had experienced harm while in Mexico on the way to the border, including one plaintiff who was kidnapped by cartels and held for two weeks. Another plaintiff was robbed at gunpoint. A third plaintiff was detained by police and told that if he didn’t pay them 1,500 pesos he’d be arrested and taken to jail. The ACLU argues that the new policy violates U.S. immigration law. Although the government argues that the law allows them to place any individuals who arrive from a “contiguous territory” into immigration court and return them to that country to await a hearing, the ACLU says this law is not meant to apply to asylum seekers, who the government must admit and provide access to the asylum process. The plaintiffs also argue that the U.S. government cannot implement MPP unless first formally proposing a regulation, which would give the public a chance to comment and the government a chance to consider the feedback. Because the government chose to implement MPP by issuing an ad-hoc new policy without giving the public a chance to weigh in, the ACLU is asking the court to set aside the policy. The challengers also argue that the policy violates international law, which forbids the United States from returning people to a country where they face persecution. Because the MPP sets a high bar for asylum seekers to avoid being returned to Mexico, many asylum seekers may be sent to a country where they face serious harm. On Wednesday evening, the ACLU filed a request for a temporary restraining order, seeking to immediately halt the government’s ability to send people back to Mexico. They argue that the risk to peoples’ lives while forced in Mexico is too serious to wait for a court decision which could take many months. They also point out how the government’s claims about the need for the MPP are not justified. For example, despite the government’s claims that many asylum seekers disappear, the vast majority of asylum seekers appear in court. It remains unclear how quickly a court will rule on the ACLU’s request for a temporary restraining order, but a decision will likely come in the next couple of weeks. The government has already indicated it plans to soon expand MPP to other ports of entry, such as El Paso.